The Kraco Premium Rubber 4 Piece Mat set features a raised border and ribbed heel pad for comfort and extra wear prevention. Trimmable design makes it simple to customize the fit for any vehicle. Includes 2 front and 2 rear mats. There's no need to force yourself to sit in a stifling hot car this summer. The 12 V Auto Kool uses solar power to keep your car or truck cool while you are parked. No batteries are required as this handy device is powered by the sun. Using the 12 V Auto Kool will help reduce air-conditioning use and fuel consumption, and it fits most cars. Help keep yourself and your vehicle cool with the Auto Kool. The Koolatron 12 Volt Lunch Box Stove lets you enjoy a hot meal anytime, anywhere! The Koolatron 12 Volt Lunch Box plugs into your car's cigarette lighter and cooks or warms your food to 3000F right in your vehicle. Keep the entire family happy on road trips. This handy device warms baby bottles, baby food jars, soups, stews and pizza slices in just minutes. You can cook a hot, hearty meal at home and use the 12 V Lunch Box Stove to keep your lunch warm or to re-heat it at your work site. Stay cool while on the go without using your vehicle's gas guzzling A/C system. The 12 V Direct Plug-In Fan is ideal for cans, vans, trucks, RVs, boats, and small personal airplanes. This mobile fan plugs directly into any 12 volt power outlet and does not require any batteries for operation. The flexible and adjustable neck allows you to direct cooling to any location in the vehicle. Premium Rubber Floor Mat Set, 4 piece - Black The Kraco Premium Rubber 4 Piece Mat set features a raised border and ribbed heel pad for comfort and extra wear prevention. Trimmable design makes it simple to customize the fit for any vehicle. Includes 2 front and 2 rear mats. 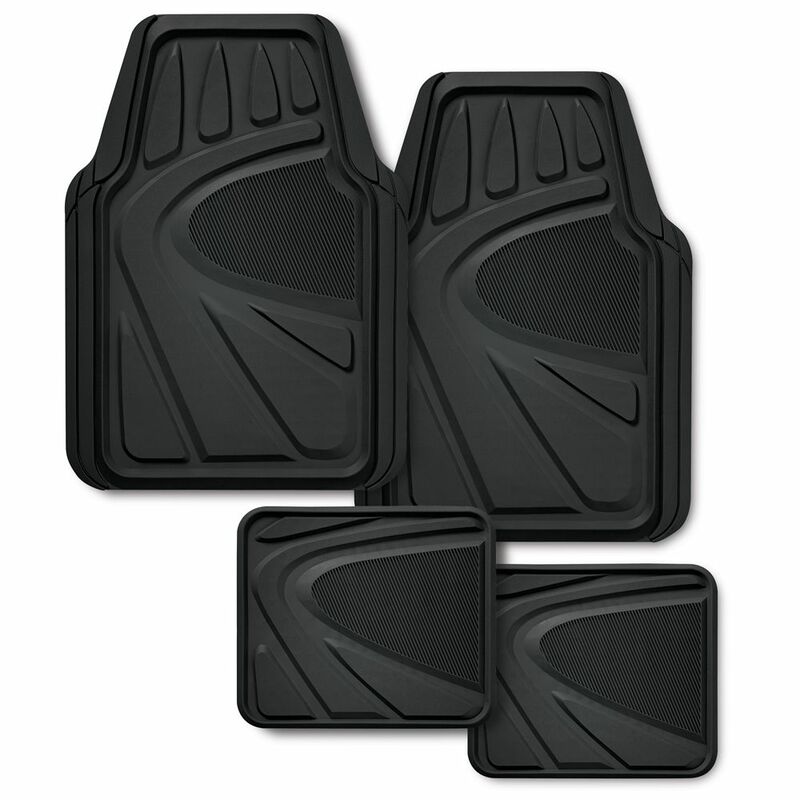 Premium Rubber Floor Mat Set, 4 piece - Black is rated 4.6 out of 5 by 5. Rated 5 out of 5 by Junior from I found it very easy to install with very little effort. Material and quality were outstanding. ... I found it very easy to install with very little effort. Material and quality were outstanding. Plus they look very good. Rated 5 out of 5 by Firecrkr24 from 5 star Awesome better than more expensive ones.These are great hold up well highly recommended. Rated 5 out of 5 by Balderdash from Excellent product for the price. Priced much higher at other stores. Good deal for a good product.